So which among them really stand out for HR? Well, new features are a bit like children—it’s hard to pick favorites, when each one offers something unique and special. But if you twisted my arm, I’d go with features that I believe give back the most to HR professionals, business managers, and employees, making their “workdays” easier and more productive. Many of our customers spend their days on sales calls, in retail stores and hotels, on the shop floor or on hospital rounds, walking around campus—not sitting at a desk. 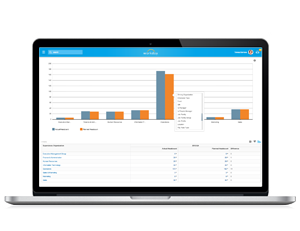 With Workday 21, they can now search for people within their organizations from their iPhones and iPads. Customers should not have to be chained to a desk when looking for someone with the right expertise for a job or project. Now they can find colleagues near and far by a number of characteristics, including job title, skills, certifications, location, manager, and more. Another nice feature for our on-the-go customers is the ability for managers and employees to work on performance reviews on their iPhones and iPads, and move between their desktop computers and those devices when working on reviews. 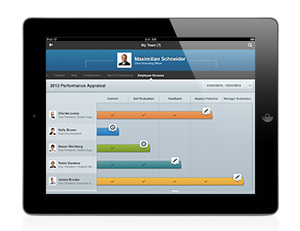 We also have a feature specific to managers for the iPad. In our conversations with customer executives, the iPad is often cited as a favorite device. So we’ve included a “racetrack” experience to view their team members’ progress in completing their reviews. Workforce laws and regulations keep changing across the globe, and we’re committed to helping our customers manage compliance ahead of these changes. In Workday 21, they get a new dashboard and worklets to help them prepare for employer requirements of the Affordable Care Act law in the U.S. well ahead of the 2015 deadline. We’ve added new reports to support compliance with a new U.S. law requiring federal contractors to adopt benchmarks for hiring and employing veterans and other individuals with disabilities. Customers have also told us they want the choice to default information related to Form I-9 Section 1 employee data, and that is now an option. For our customers with operations in France, we’ve added the ever-important Registre Unique du Personnel (RUP) staff register. As the year stretches before us, business leaders are planning for headcounts within their departments and across their global organizations. These decisions often require input from others outside their teams, such as the finance department. We’ve enhanced our headcount planning in Workday so that business, HR, finance, and other managers can view teams’ plans by multiple dimensions. That includes total budget, actual headcount, organization, and worker type. They can get quite granular, drilling down into regional headcounts for the global sales team, for example. The best part is everyone is working off the same numbers since all the headcount data is in Workday, not buried away in a spreadsheet on someone’s desktop. We all know how hard it can be to stick with New Year’s resolutions once you get past January. (I am still going strong with mine.) 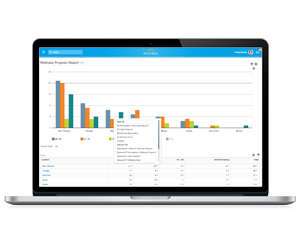 Our customers can now track employee participation in wellness programs from within Workday, including wellness reports and scores. Customers can tie participation directly to perks, such as price breaks on employees’ benefits contributions. That wraps up my favorite things in Workday 21, on which all of our customers are now live. 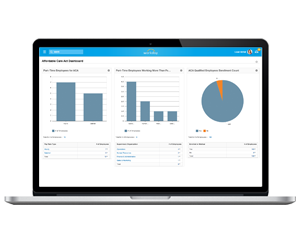 Don’t miss some other exciting things we’re talking about today, including a new user experience for Workday customers and a busy year for Workday Financial Management.